Everyone has that one friend who’s a little too into conspiracy theories. While it can be fun to think that the world is run by a handful of master manipulators, these conspiracy theories are just that — theories. Nothing more. On the other hand, conspiracy theories only sound crazy when they aren’t totally true. There was a rumor that between 1938 and 1950, officials at General Motors were buying up train and light rail systems in cities so that people would have to buy more cars. The only falsity in this theory turned out to be that it wasn’t just GM that was in on this ploy, but several other companies, as well. Although a hero during the War of 1812, it was always rumored that James Wilkinson was making deals with the Spanish, even when he achieved the highest rank in the American Army. When he died, it was revealed that he was indeed on the Spanish payroll. At one point, he even tried to convince Kentucky to secede from the Union and become a Spanish colony. In 1940, Stalin ordered the massacre of 20,000 Polish military officers, and used the Nazis as the obvious scapegoat. It wasn’t until 1990 that the Soviet Union began investigating the possibility that they were behind the attacks. It was confirmed in 2010 that they really were the ones who ordered the killings. Although denied by the North Korean government at the time, between 1977 and 1983, North Korean agents began abducting Japanese citizens. The Japanese government saw it as a conspiracy theory at first, until damning evidence was uncovered. In the end, they got North Korea to admit to abducting 13 of their citizens. There are believed to have been hundreds more. 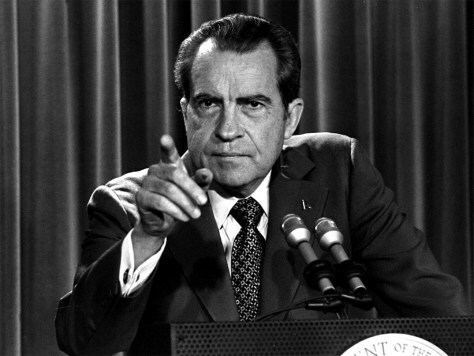 While trying to report on the Watergate scandal, reporters were harassed and their phones were tapped in an effort by the Nixon administration to cover up what ended up being one of the most shockingly true conspiracy theories in American history. For decades, there were rumors that British TV personality Jimmy Savile was molesting children, but it wasn’t until his death that hundreds of allegations of sexual abuse (and even necrophilia) against him appeared. It was soon discovered that not only was Savile a predator, but he might have been the most dangerous one England had ever seen. There have been rumors that Yuri Gagarin wasn’t the first man in space, but only the first man to survivespace. The allegation here is that other cosmonauts made it up into space, but because they died, their existence was erased by the Russian government. Valentin Bondarenko was a cosmonaut-in-training when he had an accident in a low-pressure altitude chamber and died. The Russian government cut him out of all the photographs and pretended he never existed until 1980. So while Bondarenko never made it to space, it might be possible that he wasn’t the only fallen hero the Russians decided to hide. While there is good evidence that crises like 9/11 and the Kennedy assassination went down exactly how we were told, the same could be said about these events before the truth was known. About Katyń, it was well known even in the 1940’s who killed the Polish oficers, but only after the fall of the Soviet Block the fact was acknowledged in Poland in public media. Wellll… Watergate USED TO BE one of the biggest scandals, now it is just small potatoes when compared with HIllary and Bill Clinton concerning multiple instances while in office and with the Clinton Foundation; and Obama’s laundry list of scandals.